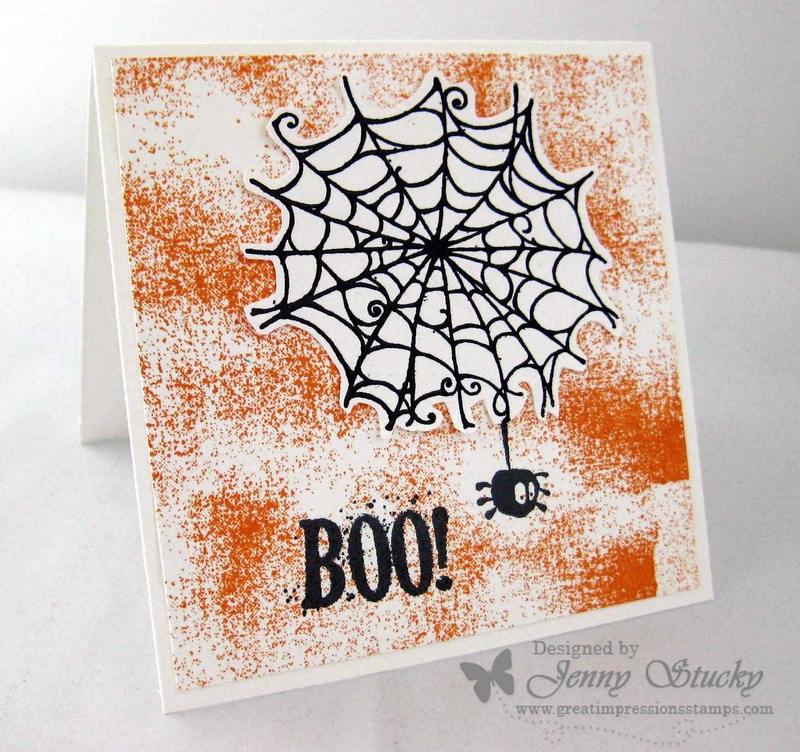 Great Impressions: Spook - tacular! and check out all the options! 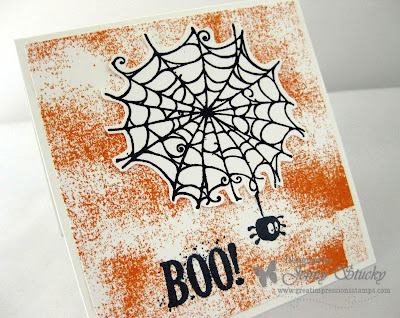 Stamps Weekend Blog Hop starts this Friday. All cards go to the families of The Ronald McDonald House. Prizes will be awarded and a good time is promised! I'm so grateful you stopped by for a visit today. Erin has in store for you. 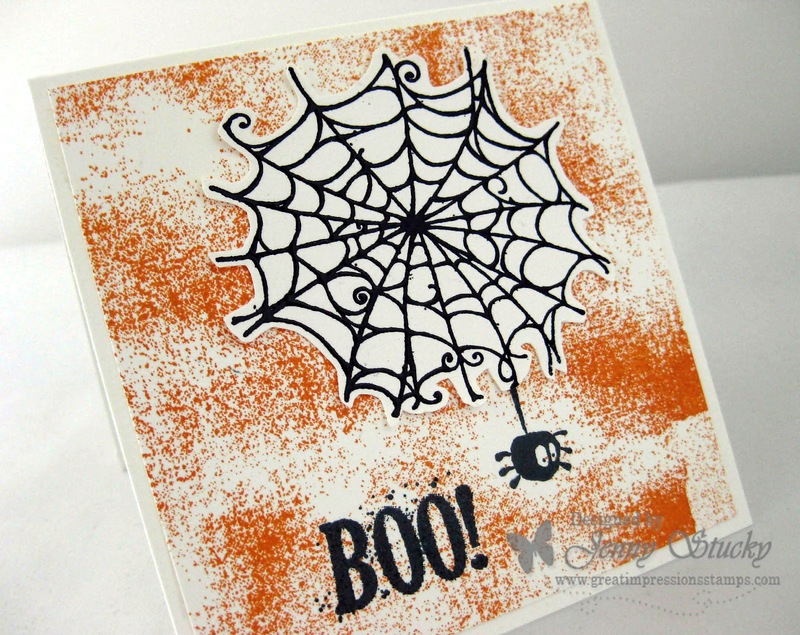 Love the contrast of the white web over the Distressed Background (I love using this stamp too!). Cute card, Jenny! I have missed this background stamp in the line up. Must put it on my list! 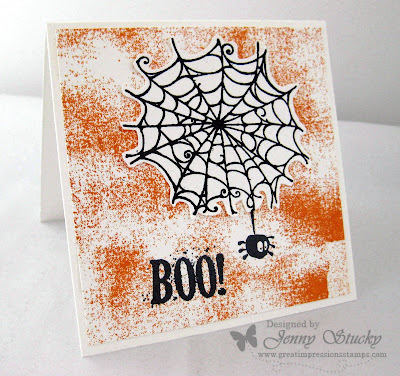 Cute and fun and even simple enough for the grandkids to do! Thanks! Gotta love that little spidey!